East Vancouver is nestled between Westside Vancouver and Burnaby. It's become very trendy, and provides more affordable housing options while still being in a very central location. 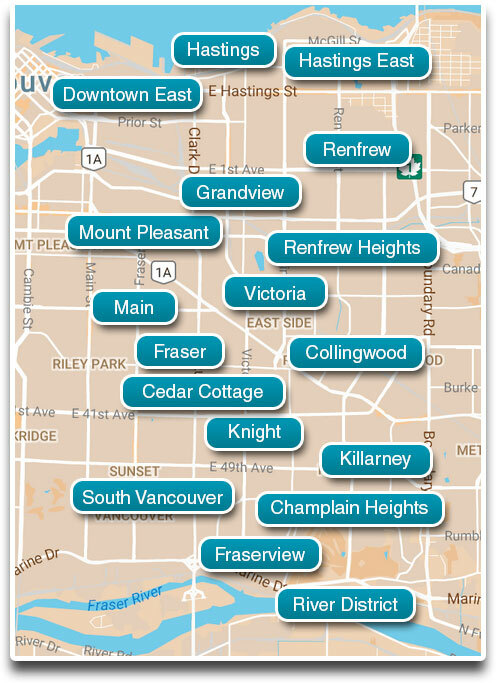 Some of the trendy areas include Mt Pleasant, Main Street, Commercial Drive and the upcoming River District. You'll find a wide range of housing options such as condos, townhouses, duplexes and houses. Learn more about the Vancouver community and things to do.